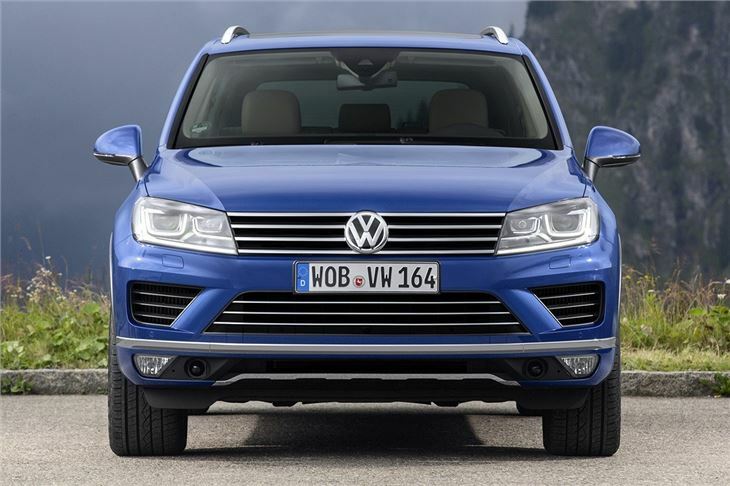 For those who want a capable, luxury SUV without going down the ostentatious route of a Porsche Cayenne or BMW X5, the Touareg has always been a good choice. 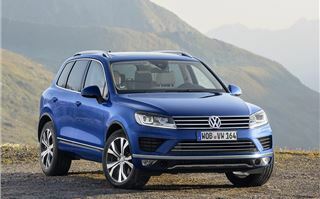 With its recent facelift, Volkswagen hasn’t changed the formula – maintaining an understated image but with improved economy, more technology and a few styling changes. 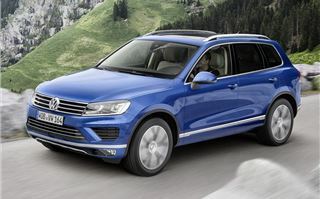 Externally the Touareg looks a lot like it did before, but subtle alterations have brought it in line with the latest generation Golf, including new light clusters with xenon headlights as standard. As before, all Touareg models are four-wheel drive and there’s an Escape variant for those who do a lot of work off road. 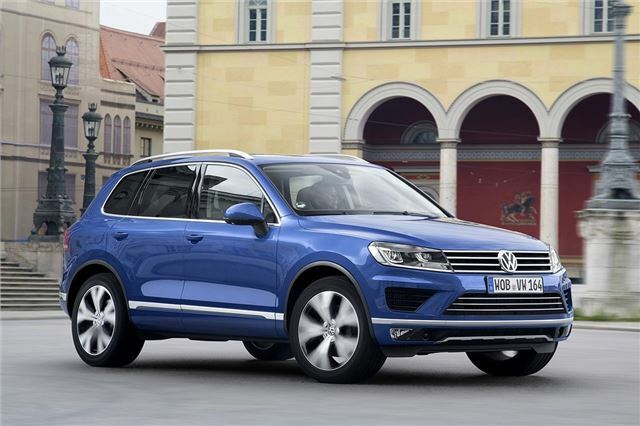 The slow-selling V8 diesel and V6 petrol hybrid have been dropped from the UK range. 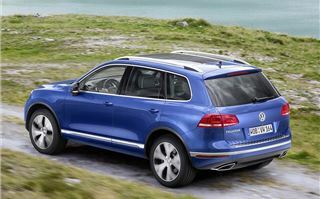 Now the only engine choice is a 3.0-litre V6 TDI, offered in two power outputs – 204PS and 262PS. 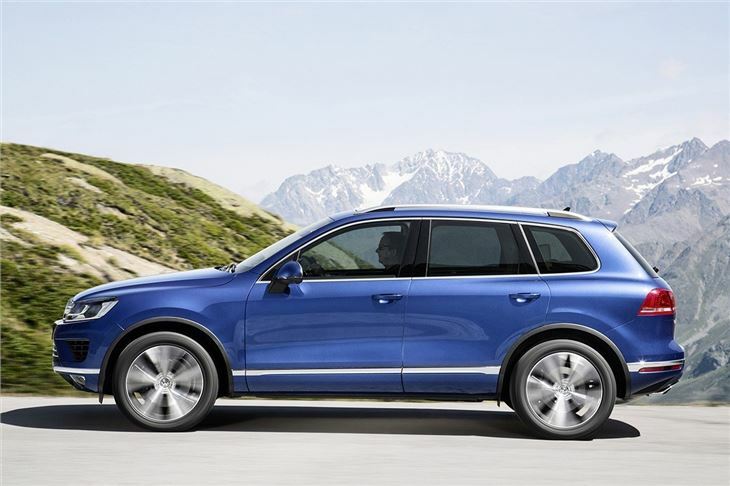 Volkswagen has revised the engine to make it Euro 6 compliant, with tweaks including the addition of an AdBlue system to reduce NOX and particulate emissions. The result is improved economy and lower emissions. 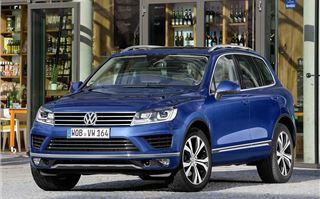 Figures are dependent on trim, but whether you pick the 204PS or 262PS outputs you’ll get very similar CO2 figures – 173g/km or 174g/km for the lower and higher output engines, respectively. 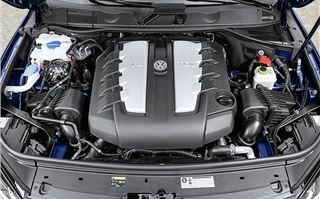 Economy is 42.8mpg for both engines – though choosing the Escape trim pushes consumption up slightly. The standard transmission is an eight-speed automatic and it works very well in practice. 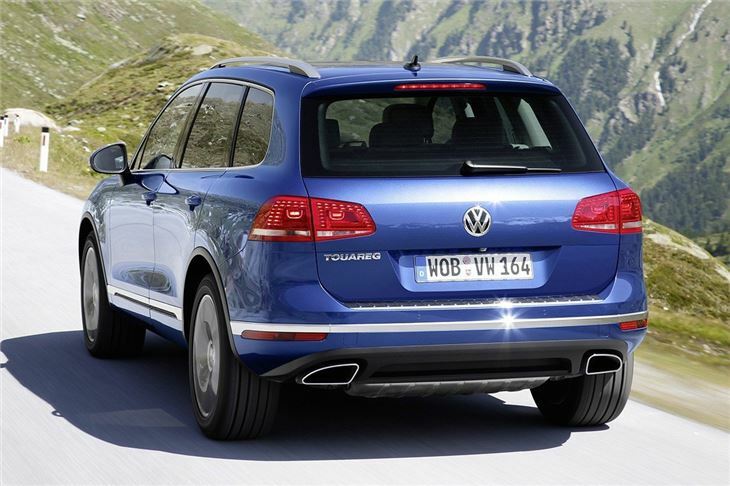 The changes are seamlessly smooth but there could be a quicker response when you need a lower gear to overtake. 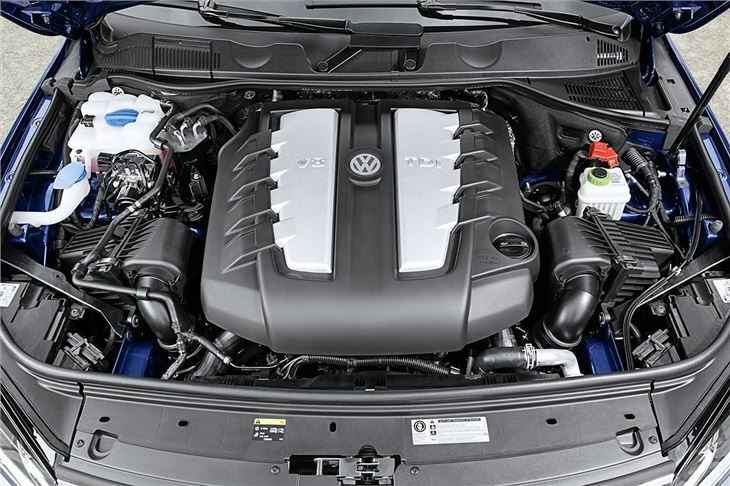 Thankfully, when the transmission does kick down, the 262PS engine tested has plenty of torque for getting past slow movers, at an impressive 580Nm. 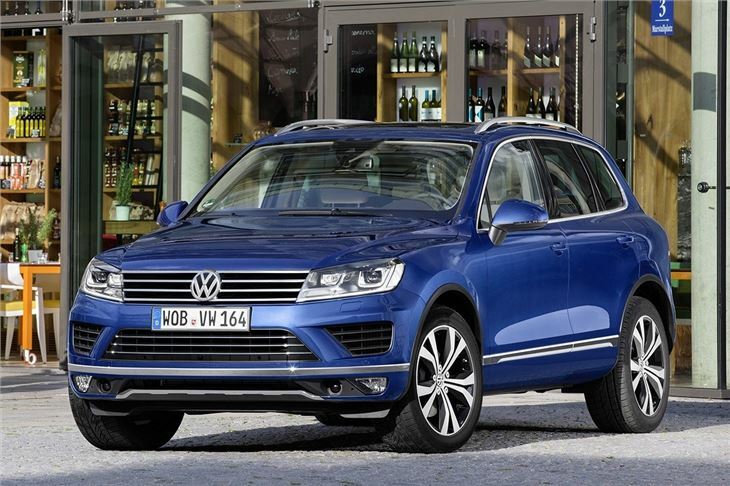 At a cruise the Touareg is impressively quiet and settled, making it a great long distance vehicle. 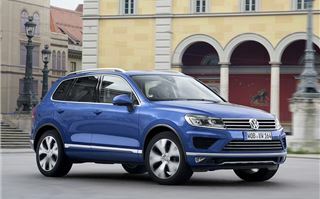 It’s very relaxing to drive – the controls are nicely weighted and there’s plenty of grip, giving a reassuringly stable and planted feel through corners. 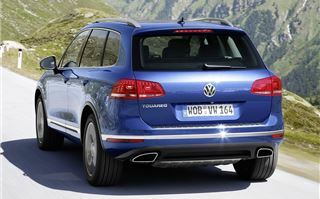 The ride quality is good, at least on the optional air suspension our test car had fitted. Lumps and bumps are ironed out smoothly and barely jostle the cabin at all unless they’re particularly severe. 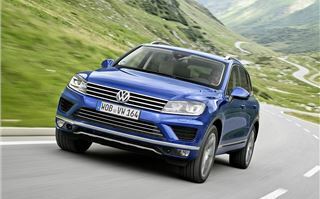 All of the Touareg variants have four-wheel drive and despite the obvious on-road bias of the design, its off-road capability is impressive. Systems like hill-hold and hill descent control make light work of steep slopes, while more serious off-road users can specify locking differentials, adjustable ride height and switchable low-range transmission for the trickiest conditions and surfaces. For someone who tows trailers this capability is ideal – as is the impressive braked towing weight of 3500kg. There’s also a host of useful optional technology including the essential factory fit tow bar, a camera to help you hitch up unaided and a stability control system designed to reduce trailer sway in wind. The cabin is spacious and very well finished. 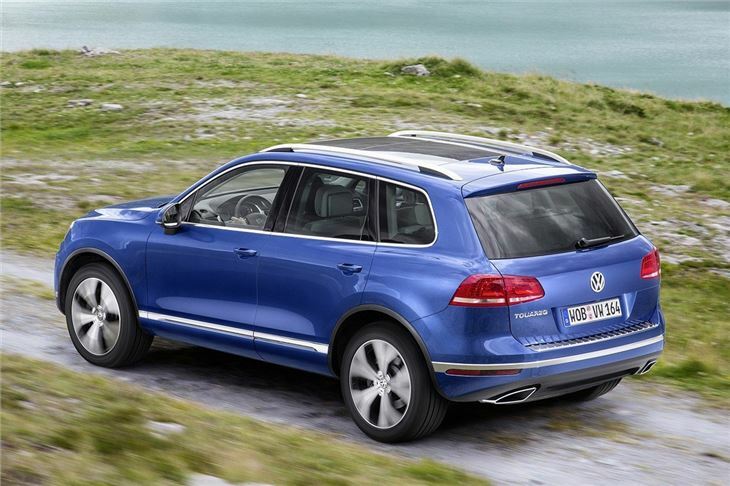 The material quality is top notch, with aluminium switches and leather upholstery as standard. 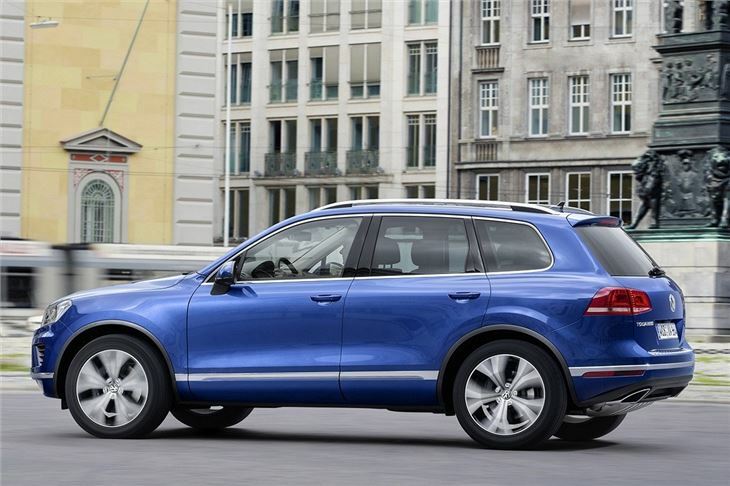 There’s plenty of space, with room in the rear for three adults to sit in comfort, while the boot is spacious at 697 litres, expandable to 1642 litres by folding the middle row. The boot floor is flat, but it is quite high so might pose issues for those who carry heavy items or have small or old dogs. 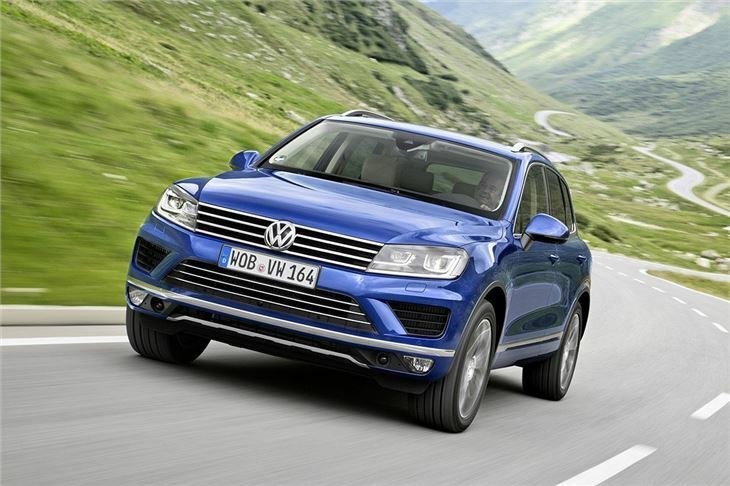 The Touareg range is fairly simple, with three trim levels – SE, Escape and R-Line. 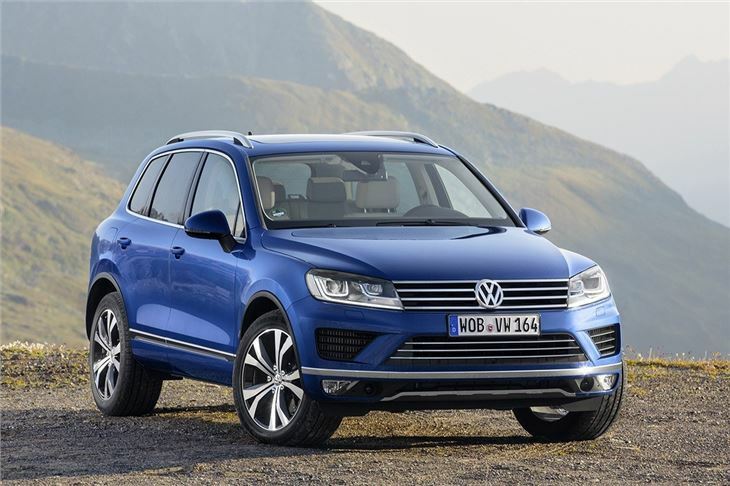 All models get an impressively generous level of standard equipment, including a large infotainment screen with navigation, 19-inch alloy wheels, xenon headlights, leather upholstery, cruise control and heated front seats. 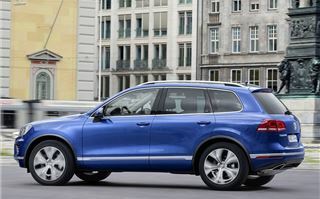 Despite the generous standard equipment levels there is a large options list, including alloy wheel designs up to 21-inch, air suspension with adjustable ride height, various upholstery finishes and high-tech gadgets like an all-around parking camera, adaptive cruise control and lane keep assist. 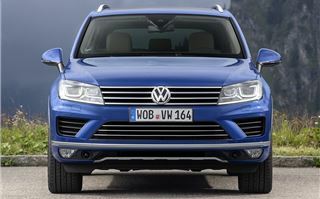 The updated Touareg faces some stiff competition from cars like the BMW X5 and Land Rover Discovery, but it manages to impress regardless. The plentiful standard equipment, relaxed driving dynamics and genuine off-road credentials do enough to make the Touareg a worthy contender – and one worth adding to your shortlist.